About a year ago, my ANG Main Line chapter played with “A Little Bit of This and A Little Bit of That” by Linda Damiani. 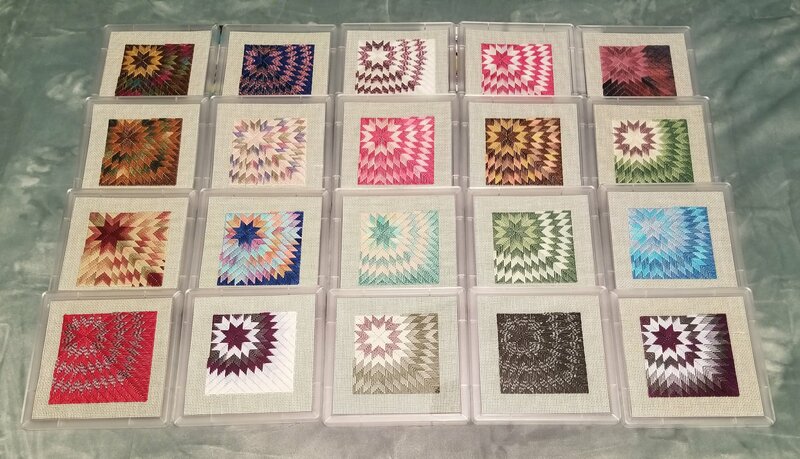 I had so much fun choosing threads from my stash for the Florentine Star, a 4-way bargello pattern, that I decided to make enough of them to give to my Philadelphia Quartet Club shuffleboard members. And, I’ve been stitching them periodically over the year getting a good number of them done on our vacations this year. They traveled well. I love the off center star rather than locating the star directly in the center. Each one has an overdyed thread (or two) and then one or two solid colors. No two are identical. I used fusible interfacing to cover the bottom. Then, I placed each in an acrylic trivet that can withstand temps up to 350 degrees. 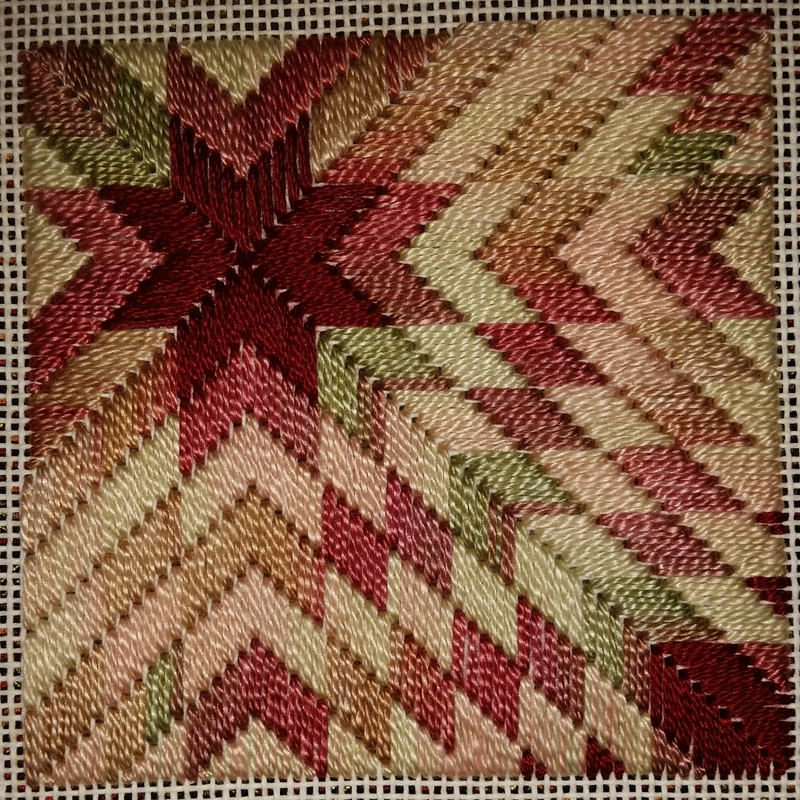 I got the trivets from AllStitch. We followed the Secret Santa rules which allowed people to pick a preferred color scheme. And, I was very happy that everyone loved them. Great times at the PQC!! 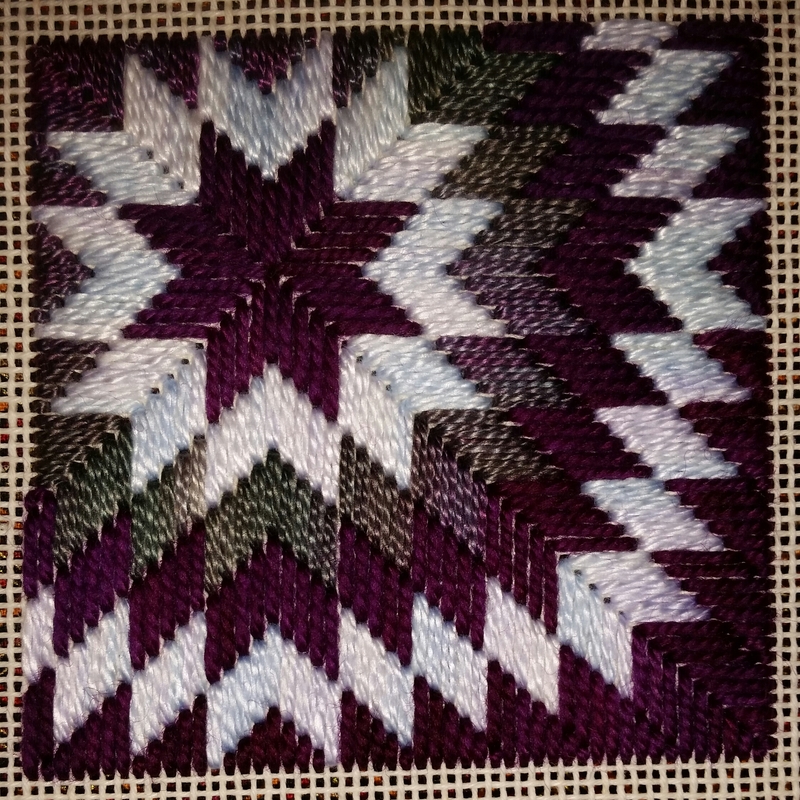 Instructions for “A Little Bit of This and A Little Bit of That” by Linda Damiani was in the stash we got from Mae V-D, a member of the ANG Main Line Stitchers chapter who passed away in 2015. A couple of members of our chapter remembered Linda was from our area but had moved away. I was able to locate her & I called her. She moved away from needlepoint to other crafts but was happy to grant us permission to copy & distribute the instructions once again to our members. Again using Mae’s canvas and threads, we stitched 2 projects from the booklet. A true stash buster using miscellaneous threads grabbed randomly. See how each looks slightly different using the same threads? 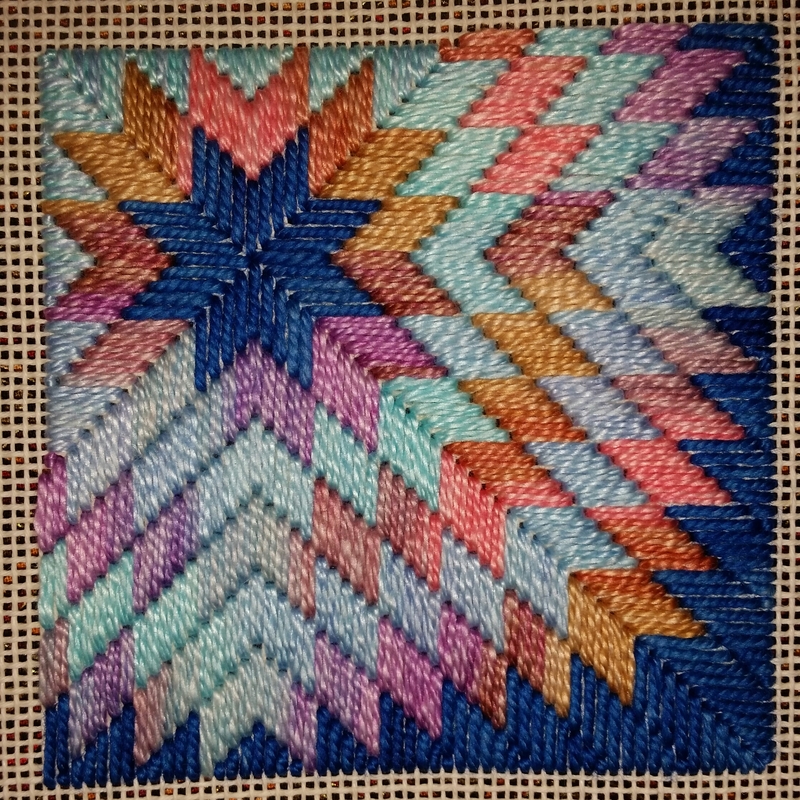 And, there was a lovely Florentine Star that I choose to do off center rather than locating the star directly center and making it a full 4-way bargello pattern. I had such fun doing these that I did them in multiple colors.